The Vivo Y81 is packed with a 6.22-inch HD+ IPS display powered by a MediaTek Helio P22 chipset with 3GB RAM, 32GB ROM, a 13 MP main + a 5 MP front-facing camera and a 3,260mAh battery. The lowest price of Vivo Y81 is P6,499 at Lazada, which is 43% less than the cost of Y81 at Lazada (P11,499). The latest price of Vivo Y81 was updated on Apr 15, 2019, 17:31. 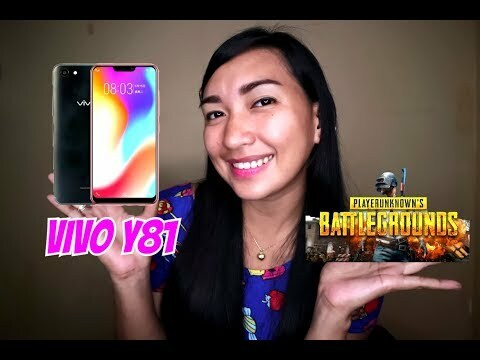 Vivo Y81 Unboxing, First Look & Setup! Hi po! pwede po ba dito ang nba2k19 or PUBG ?